With the introduction of social media, marketing has taken a new form and shape. Social networking sites have offered new ways of introducing your service or business to customers. Another platform that many find themselves on is the blogging industry. Blog sites can offer you a way to give tips to your customers, share other helpful hints and sites and also reach new people with your message or service. One thing that is big in the blogging world is guest post blogging. What is that? Guest posting on a blog is simply taking a post that you wrote and posting it on another blog site. Many have tried it out but they wonder what the real benefits are. Can you really benefit from this type of posting or service? Check out what a few of these benefits could be for you. When you choose to use guest posting for a site, you can widen who your posts actually reach. When you are posting on another site it helps you reach people you wouldn’t normally reach. You can share posts with each other and offer a guest post site on your blog to those who allow you to post on theirs. It offers a lot of new customer potential when you are reaching through others sites that already have a solid following. You can have increased traffic to your own site when you share a post on another site. This will help you build a loyal following and also build your credibility. Being on the internet, you can pretty much post what you want. When you work with legitimate companies and blog together, it helps to build your credibility on the web as an expert in your industry. Be sure your posts are helpful and full of tips and hints in the area you are sharing on. This will help you draw more people to your site and increase your traffic numbers. A Service Or On Your Own? There are a few ways you can go about posting guest posts. You can work on your own and go to other blogs and share posts. Another idea is using a service like Guest Blogging Service. This means a company will take care of your posting for you. The benefits? Your data is always up to date and secure. You will also find that you can focus on other endeavors while you rest easy knowing your blog is up to date and publishing regularly. You can focus on your other marketing projects while this one takes care of itself. 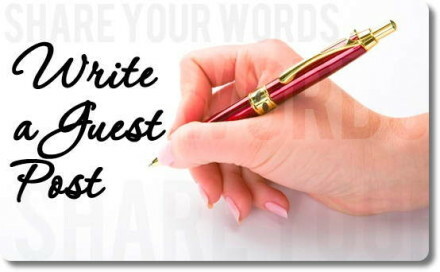 There are many truly great benefits to having guest posting on your site. You can share with others and broaden your marketing reach while building relationships with other fantastic bloggers. It’s a great way to get your product or service out there. Be sure you take a look at guest posting to see all the great benefits your blog could be reaping from this awesome program. You never know what can happen until you try it! Maria has been writing freelance for over 3 years. She is passionate about business and finance and would like to become an entrepreneur in the future. She specializes in SEO, link building and is also a keen Internet marketer. She writes about how Guest Blogging Service can make your guest blogging more easier. Here is an example of Guest Posting Service from GPL.